The lowest among all groups are precisely teenagers in churches. No matter how much parents try to bring up children in the faith, sometimes, there comes the time when a maturing child refuses to go to a church, make a confession, and take Holy Communion. May this be a unique characteristic of our time, when Orthodox families appeared without having had the experience of church upbringing? Or is it a natural age and spiritual crisis, which is not merely inevitable, but even desirable? Is it as scary as we think? What can parents do to minimize the damage from their children's disconnection with the Church? 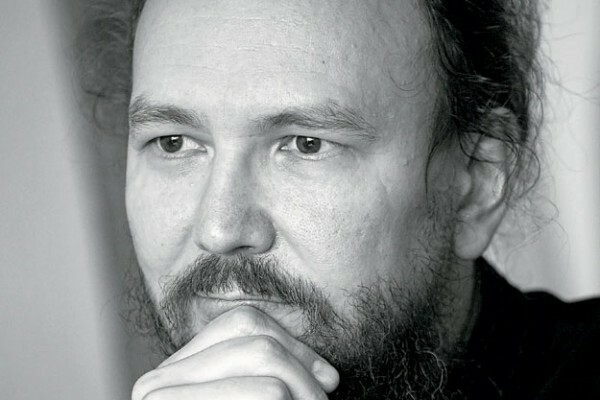 These questions are answered by Archpriest Pavel Velikanov, PhD in Theology, Rector of the St. Paraskeva Metochion at the Holy Trinity – St. Sergius Lavra in Sergiyev Posad. Father Pavel, today, children in their teens may leave the church. Is this somehow connected with our current time? I think it unequivocally can be. 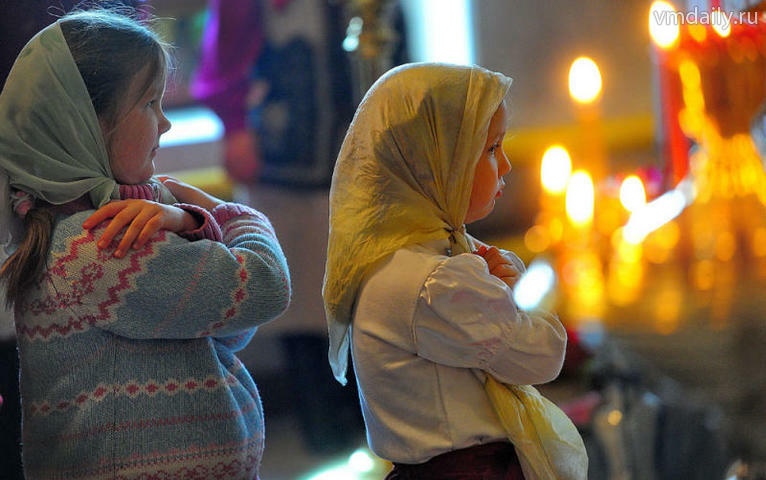 I suspect that the intensity of church life for children which can be observed over the last 20-30 years in Russia has never occurred before in our country or in our Church. Nowhere in written sources do we find evidence of children being led to church every Sunday en masse, so they could participate in the Holy Mysteries and various non-liturgical activities in the parish, such as Sunday schools, clubs, classes, and so on. It seems that all this would result in a child being firmly rooted in the Church! Exactly! In practice, though, we see that the two aren’t connected. Why are there fewer adolescents in the the temple than children of other age groups. I think one reason is this: As parents, we often want our children to mechanically learn the personal religious experience that we ourselves received as a result of certain life pursuits, errors, and downfalls we acquired on the path to the Church and which for us are infinitely expensive. Our children are in the churchyard from infancy. They didn’t have a painful search for meaning in life, because this idea was transferred to them by “default”! 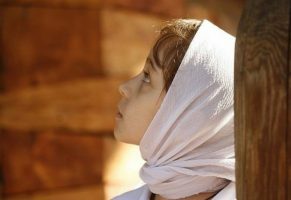 We watch our children, bowing in church, going to confession, taking communion, and praying, and in this we see the same sort of identity that we have ourselves. Never the less, they simply imitate us, as they may not have yet born and matured. Therefore, the child must shift away and distance them a bit from that “default” position. Why? In order to return to the Christian leaven which has been introduced, and to a completely new level of understanding and experience. Since a teenager may not gain autonomy, independence, and self-sufficiency, without breaking the “umbilical cord” linking him with his parents, who he is absolutely dependent upon — here the child needs to push off from something. Therefore, it seems understandable to me that boys and girls from 12-15 years of age distance themselves from the Church to a certain extent. I would not be afraid to say that sometimes it is even desirable — especially when young people are “stuck” in their spiritual journey and their religious life is all done “by ritual”, and not based on the dictates of the heart. If this happens to someone, there is no need to panic. Do you mean a departure like a reinterpretation of faith? I am not talking about separation from the Church as a decisive rejection of living by Christian commandments and committing various types of mortal sins and a leading a destructive lifestyle. No. Not under any circumstances! I am saying that a child must, himself, identify the extent and form of his connection with the Church — and it is important that this relationship is preserved. In addition, during adolescence a child is very much attracted to what is not known to him, and what he has not explored. If he grew up in a church environment, for him, this sort of special interest and appeal will provide peace. Those who, from childhood, are immune to life in the world and its joys and delights are a rarity. In most cases, a child doesn’t have such immunity. Therefore, in my opinion, there is nothing wrong in the fact that for him, the significance of the Church during this time will be less important than youthful surroundings, music, new friends, various entertainment, having fun, hobbies, and so on. The main thing is that the overall significance is preserved. The experience that I have gained from the children of priests and my friends, enables me to say the following: a deliberate attempt to protect a child from social life and secular values by creating a full-fledged greenhouse in which he would have matured, become strong, rugged, and resistant to the raging waves of the sinful, passionate world, not only does not work, but it often produces the opposite results. Most often, the more strictly some “worldly” things are cut-off, the greater the attraction there is to these things. A person will experience a thirst — I would even say, a pathological thirst — for these things. This thirst can’t be satisfied, although it seems it would have been possible to stop a long time ago. It downright broke him down and carried him away! The opposite can also be said for those priests’ families, where parents, above all else, took great responsibility in being involved in the all-round development of their children by trying to give them a good education and develop musical and artistic skills, athletic abilities, and intelligence; so that the children did not feel inferior to their classmates, but actually felt more advanced — because everything was done with the utmost responsibility before God! – Teenagers in these families, subsequently, did not drift away from the Church, but opened it for themselves anew, and then became priests, and even monks and nuns. The period of youthful rebellion took place with minimal losses. Why is that? Does the high cultural level act as a vaccination? Yes, it’s an inoculation of sorts. For example, it is very difficult to satisfy the well-developed hearing of a child who graduated from music school with cheap pop music. It is organically unacceptable, because it is simply trite and lowbrow. He is ingrained with other values and has developed taste. I believe this approach can be transferred to the entire area of culture: what a child reads, what he listens to, what movies, plays, and musicals he sees. The main thing that parents should develop in their child is a taste for the genuine and beautiful — and some internal immunity to the trite and , unmeritorious, despite however hyped and attractive it may seem. Of course, it is important to create the correct cultural context of life, filled with genuine values​and correct ideas: so that the poison that so many are eating today is categorically unacceptable. Then, these correct cultural values​will provide some guidance for him and serve as reference points, as they are for the believer and those in the secular world. In other words, these correct values are not strictly found in Orthodox literature, Orthodox plays, and Orthodox movies? That’s exactly right. I would even say, the task to instill real values in children is not a matter for the Church, but is primarily outside of the Church, so that they, being in the world, can feel confident and always know what to rely on. Parents must create conditions for their child that are most in tune with his spiritual dispensation and psychological characteristics and help him develop these skills as much as possible. Wisdom resides in the fact that this type of development, in the end, is directed toward God. It is necessary to help the child to understand that, in fact, all of his activities should be a prayer to God, and any activity inside or outside the church fence is a form of his spiritual ministry, his doing, and his degree of responsibility before God. Once, a plumber worked in my house. A man who was not really involved at church, but he made me think seriously, and here’s why: First, he was uncommonly conscientious in handling every small detail! Where someone else would have worked for one day and got his wages, that guy scrutinized the consequences of exploitation over an extended period of time and what would be the best coupling to install and so on. Second, he charged 1.5 times less for his work than any unprofessional plumber in our city. He traveled constantly to different exhibitions, kept up with the latest technical innovations and attended various courses to improve his qualifications. That is, he lived wholly in his business! You know, when encountering that sort of profound professional integrity, I realized that he was, in fact, a deeply religious man, because the motivation of his actions was not of everyday life but of an ideal. In terms of worldly gain, he had to do the same things easier, faster, charge more money and be quicker in moving to other job sites — but for him, his work was a form of service to others. I think of children who regard their work in the same manner — even if they have chosen the simplest profession. This is happiness and a blessing for their parents. You have touched on a very interesting topic: how a person comes to God. So, for parents faith is a choice, and for children it is passed on as a tradition? No searching, no choice, no suffering? Must one go through difficult searches and tests to acquire faith? You know, I think, is absolutely inevitable that there will be spiritual crisis in the life of every believer, because where there is no crisis, there is no overcoming. Where there is no overcoming, there is no strengthening and no development. I, in my life, have never met a deeply religious person who could honestly say that he had never had doubt or had never went through a crisis of faith. Even if he had grown up in a very healthy, devout, and proper Christian home. Another thing, these crises are completely different within the Church and outside the Church. Crises inside Church life are much more severe and acute than when a person is in a place of obvious sin, unrighteousness, and irregularity and is looking to the Church. It is simpler to leave the sinful world and go to the Church than for a Christian to experience a crisis of faith. Faith is either minimized and reduced to some external displays which provide a normal human existence in this frame of reference, or it significantly deepens and acquires another quality that often leads to conflict with the real Church life in which a person lives. If faith is the result of a personal choice, crisis, and rethinking life’s values, then what role does the transference of parents’ personal religious experience to their children play? The fact is, as one priest said, all children are, by nature, pagans. In the truest sense! What is Paganism? This is the religion that is most understandable, comfortable, and enforceable in terms of man in his present fallen, sinful state. The state in which we all currently exist. In general, it is closer to the Old Testament paradigm of law and retribution. Of course, nothing is comparable with this children’s religious experience. Under no circumstance should it be substituted by transferring adult religious experience onto children. The adult perception of cardinally differs from that of children: the latter is, first and foremost, positive. For children, the joy of being with God is normal and comes naturally, while for adults it is almost aerobatics, because we have something to repent, we have something to regret, we have something for which we need to ask God for forgiveness. Worst of all is when I see how parents begin this pattern of transferring their religious experiences onto their children, forcing them to repent of sins for which they have no understanding. Putting on a drama of global scale for a child’s small transgression is deeply wrong. Well, the child was lying. Who doesn’t lie? You, yourself, have never lied in your life? The child, who was brought up this way, instantly learns to “role play” and pretends to be a penitent confessor permeated with the sorrow of the world. As soon as he crosses the threshold of the temple, this “breastplate of righteousness” for the parents quickly vanishes and he becomes a regular, normal child — and this is not the worst option. It is much more dangerous when a child is permeated through to the core with artificial feelings that are inappropriate for his age and then begins to feel “exclusive” and “not of this world”, arrogantly distancing himself from his peers to the delight of church climbing parents and to the misfortune of his spiritual health. Suppose the law can be passed on as a family tradition. Can a personal relationship with Christ also be conveyed this way? The opening of Christianity as the religion of Christ is an entirely different matter for a child. In order for him to know Christ as Savior and Redeemer, he should understand, from what it is, in fact, necessary to be saved from and what it is to redeem. Up until a certain age, a child simply is not capable of grasping this! Therefore, I don’t see a great danger in children living for a rather long time in a space that is largely outside the formal observance of Christian precepts, in the paradigm of the Old Testament, where there is a clear law, punishment and reward — but with a clear perspective of developing in the direction of Christian values. Perhaps in adolescence, when one explores the boundaries of his freedom, God is frightful and administers punishment. Won’t all the law rouse protest? I rather agree with you, but if we are talking about small children, a different approach would mean the erosion of criteria. Intelligent, well qualified psychologists recommend building relationships with one’s children so that they clearly understand the limits of their freedom: where they are arbitrarily restricted, where they are absolutely constrained, and where the “prohibited zone” is located. If a child does not have this, then, in the end, he will think that he is allowed to do everything as long his parents are out of sight. Understanding proper behavior is not an attempt to avoid punishment and earn dividends in the Kingdom of Heaven, instead it is simply a normal pattern of behavior and the only possible expression of gratitude to Christ for what He has done for us, which must, at some time, mature in a child. I think that there are moments during these crises of youth when this understanding matures, as if sprouting through the Old Testament paradigm of religious childishness into something adult. Somewhere, I read about an instance when two girls from Sunday school, who were fully integrated into the life of the church, went to the temple on Great Friday and suddenly stood up in front of the Cross, looked at the crucified Christ on it and one, with sincere horror in her eyes, said to the other: “Wait, He was killed for us?” These children suddenly realized that the Gospel is not a myth, not some tale of morality happening a long time ago that has no concrete value for you, but rather that it is connected with you personally. All they had heard about Christ earlier may have worked as a foundation, but had not reached the soul. Children actually have their own logic. Every child (and adults too — it is not about age) has a very different personal encounter with Christ. The moment when the soil plowed by all the parental efforts sprout a personal relationship between God and the child and the form it will take, whether in the form of gratitude, overcoming some of severe crisis, acute pain, or grief does not dependent on us! It is the affair of God and the child. What is required from us in this case? On the one hand, we, in piety, are required not to interfere and to prepare conditions in which to raise a child, and, on the other hand, to ensure it is in a healthy open atmosphere. All the rest, the Lord himself will control. Here, we do not have to act either as intermediaries or as translators. It is His work. 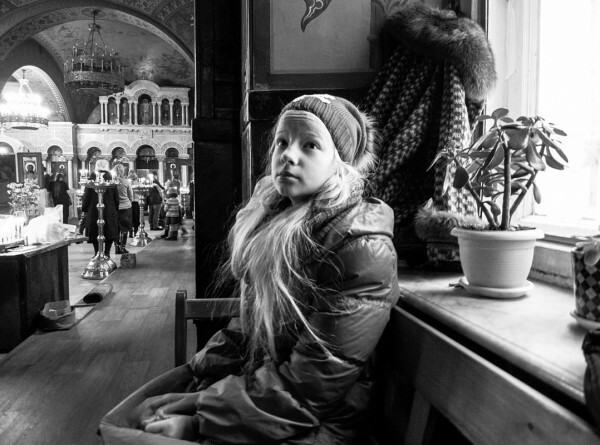 Father Pavel, how do your own children regard church? My eldest daughter lives in another city, apart from us, and is in that difficult period of adolescence, but she has not lost the connection with Church. She goes to services and participates in the sacraments. Of course, not with the frequency and intensity I would like, but she goes. She fasts, again, to the extent that is viable for her now. I can’t say that I don’t worry about her, but I understand that she is now actively searching for herself — and I don’t see those forms of searching that would elicit strong opposition or protest from me. The other children are all very different. One of my sons is happy to stand motionless in the temple for the entire service with joy without becoming particularly distracted and to do everything that is necessary, such as serving as a ponomar. My other son will stand for a little while and then muddle about, not knowing where to perch himself. He will go from one corner to another finding someone to talk with, etc. Different personalities — different characters! Overall, though, the temple is a place they happily run to — and to miss a service is something painful. Even when a child is sick, he may cry and be upset if you didn’t take him to the temple. I think, among other things, this is due to the fact that we have a very full program for children in the parish: an animation studio, calligraphy lessons, Sunday school and music lessons where they learn songs to sing in the children’s liturgy (a service during which they serve at the altar and read and sing in the Children’s Choir — Ed. ), and there are practical lessons in the so-called natural sciences, when they study the properties of different materials or make greeting cards with a mechanical or electric “fillings”. Perhaps there is a certain truth to that, but in any case, I think, it is much more important, how the children perceive the temple space. If it is a space where you receive attention and love rather than law and punishment, then it is not so important, what is happening there. Children feel that some activities are organized for them, not so as to send a report to the Patriarchate, but simply because they are loved. How much do children need church discipline? Is prayer, going to the temple, and fasting obligatory? Children definitely need discipline. Children must live in some sort of a well defined, designated space, because it helps to structure a child’s life. Measuring the severity of the discipline is another matter. I think it should be inversely proportional to the age of the child. The younger the child, the greater the degree of discipline there should be. We are not talking about forcing the child to comply, but simply that there should be that sort of climate in the family. When we say that everyone is going to the temple, we don’t offer any other options. 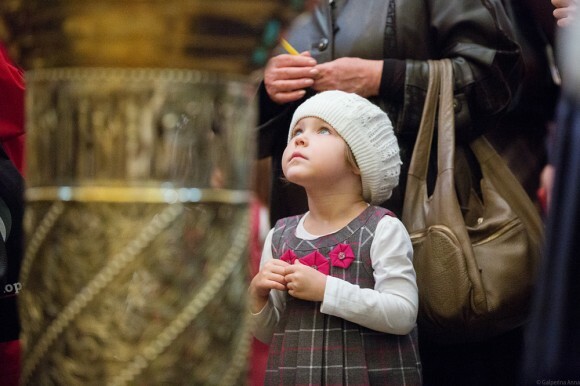 We don’t even ask the question: “Well, are we going to the temple or not?” When a child asks the question, “Why should we go to the temple on Sunday?”, we can explain to him, why. We say, for example: “Wait a minute. Where are you going? Are you going to sleep? Please, get some sleep. 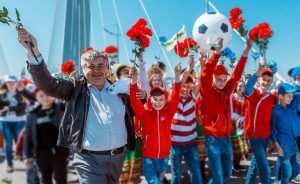 We’ll go to the temple and return happy and content.” I think Archpriest Vladimir Vorobyov described the ideal situation in his day. In Soviet times, religious families needed to serve when they went to the temple! Here in our parish, I see that by some miracle, a model of child participation has been arranged for the liturgy, the fullness of parish life, and church activities outside of liturgy that the children run to church. For them, it is a celebration, not a problem, headache or “lost personal time.” I don’t know what will happen when the kids grow up. We’ll see! There is one point of view that when a child grows up and begins to separate themselves from their parents, a significant adult should be next to them — their godparent — who will be an authority for them. What would you say to that? You know, my personal opinion is this: I still have little faith in the institution of godparents, because to become an authority to a child is a big problem. To already be an authority, so to speak, by coercion is another problem. One can hardly say that every parent is an authority for their child and so how can an an outsider, who does not live with the family and isn’t in constant communication with the children, earn their trust? In theory, I can accept this, but I think this is an exception rather than a common practice. Actual rearing of children can be only be done when you are involved in the family life of your godchild, when you come to the family and communicate with your godchild at least once a week, take him somewhere for a walk (not necessarily to the temple). The role of a person who comes to the home once every six months is dubious. Another thing is that circumstances change and things can turn 180 degrees. In adolescence, it is quite possible that the child will reach out to the parent, as he wants to to make friends with him and obtain his support. I would not completely rule out the possibility of godparents participating in the life of their godchildren in times of crisis, but may God grant at least every tenth family a godparent who is so religious that will be able to pick up the falling banner of parental authority and carry it. I, unfortunately, am not that sort of person. Did you have a crisis of faith as as an adolescent? I was baptized at the age of 17. I must say that I was baptized without catechesis or any instruction, but simply because I was a very sickly child. I did have had some sort of an internal consensus on baptism. After a while I decided to go to the temple. I was baptized and Orthodox and then needed to know: What is there to do next? That is how I began my church life. At that age, I already had the experience of life outside the Church. I understood what will remain if you remove Church from life. Children that are raised in the faith don’t have this sort of understanding. They often need to see the difference! 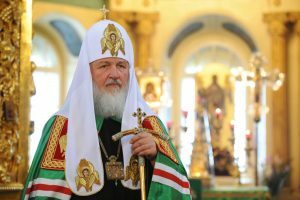 The Church, as Metropolitan Filaret (Vakhromeev) once said, the Church must be filled with the “oxygen of eternity”, but it must also be a huge space of kindness and warmth. If there is no warmth in the Church, then I don’t know what it is. It might be anything, but it is not the Church as the living Body of Christ. So, it works out the same, one way or another, as an appeal to parents, church officials, and parishioners to mind one’s P’s and Q’s? Yes, but who can say to himself: “I am a good parent, I always do what I say?” We must have the courage to explain to our children that we too are imperfect, we are also battling, we are also on a path. The only parental quality which children should never doubt is parental love. The fact that mom and dad accept them depends on how they relate to the Church. Child psychologists are always saying that above all else, a child must understand that his parents accept him for who he is. That’s the most important thing! They can disagree with something in his life and argue, but the child must be sure that mom and dad love him, regardless of whether his behavior is good or bad. Love does not have terms and conditions — that is how it manifests its strength.